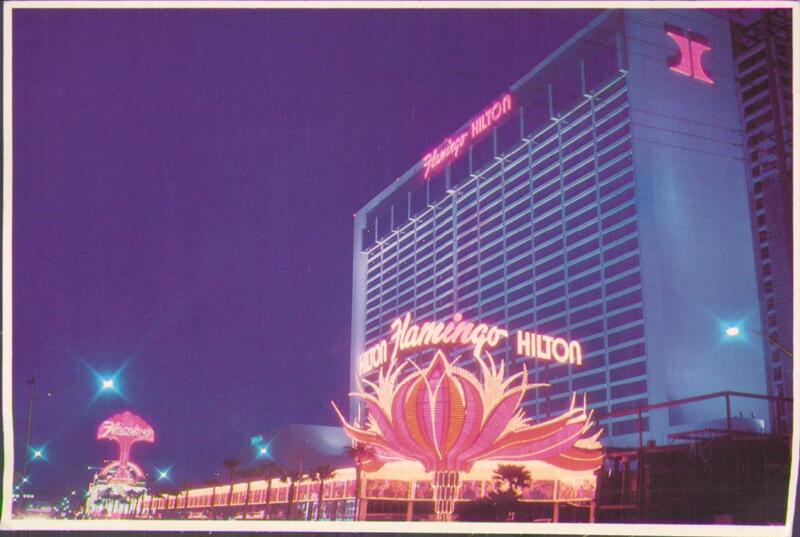 Here is the postcard of the Flamingo that I promised oyu. I hope that you are fine. I will see you soon. I love you. Western hospitality, fine food and entertainment have made this Las Vegas resort famous. You know how old movies will have a credit like "Gowns By Philippe"? 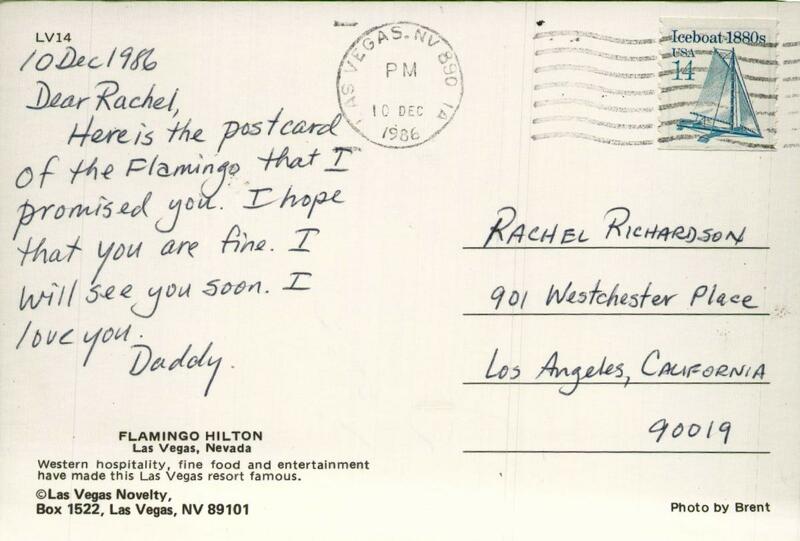 In the world of postcards, one name stands above all others. "Photo by Brent." This document (source) is part of Crummy, the webspace of Leonard Richardson (contact information). It was last modified on Thursday, November 26 2015, 04:03:03 Nowhere Standard Time and last built on Saturday, April 20 2019, 04:00:51 Nowhere Standard Time.